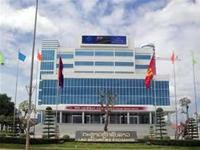 Lao Telecommunications Company (LTC) reports that earnings are ahead of expectations for the first six months of this year. 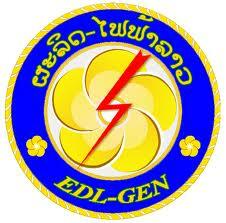 Major electricity producer EDL-Gen will hold its annual shareholders' meeting in Vientiane today. EDL-Gen, one of the largest electricity generating firms in Laos, expects to see a 19 percent increase in net profit this year after taking over shares in the four Independent Power Producers (IPP) from Electricite du Laos. 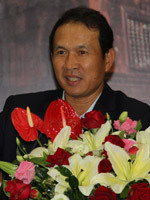 EDL-Generation Public Com-pany (EDL-Gen) have raised about US$ 200 million (about 1,611 billion kip) through the sale of 357,619,715 new ordinary shares. Electricite du Laos (EDL) says this year's energy generation, income, expenditures and profits will be larger than initial expectations. 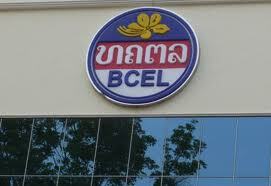 BCEL bank, the largest commercial bank in Laos, has granted a large number of loans to businesses over the first quarter of this year, giving a major boost to national economic development. Vientiane: The LSX and EDL-Gen are experiencing a bullish rally not seen for 2 quarters. The index this week gained 68 points from 968.34 to close yesterday at 10338 - a 7.08 percentage gain for the week. 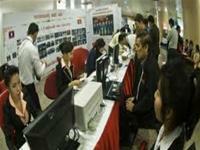 It may come as a surprise but the market also gained 68 points a fortnight ago with a 7.36 percent gain on 15 March. It takes time for a rally to emerge but EDL-Gen has fired up the market this month. EDL-Gen employees will be rewarded with a 10 percent increase in their basic salary this year after the public company made a sizeable profit in 2011. 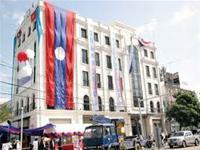 Banque pour le Commerce Exterieur Lao Public (BCEL) has revealed that its initial unaudited profit for 2011 is a 70 percent increase over the 2010 audited figure and the bank expects an even greater profit this year.